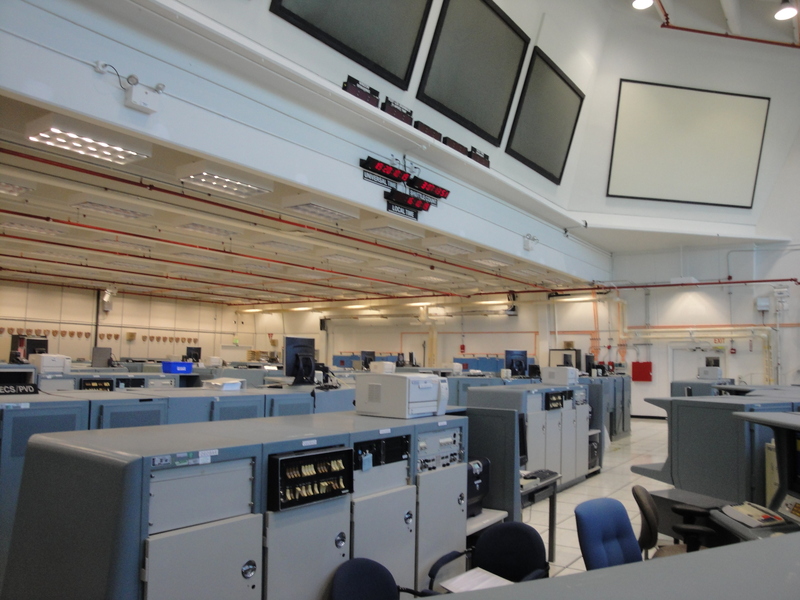 Launch control at Kennedy Space Center has four firing rooms in a building adjacent to the Vehicle Assembly Building, and across the street from Press Complex 39. Firing Room #4 is the most modern and is where the last 20 space shuttle missions were launched from. Just next door is Firing Room #3 which is very 1960s and retro. This is where some of the Apollo moon missions were launched from. The Firing rooms all have an expansive window giving superb views of Launch Pads 39A and 39B where both the shuttles and the Apollo moon fights lifted off. The problem? If you’re working to get the shuttles off the launch pads, you’re looking at monitors, not out the window. After launch, however, if you have time, it’s a great view. Launch Control Center where all major missions have been launched since the Apollo landings on the Moon. LCC is on the left, and the Vehicle Assembly Building is on the right. 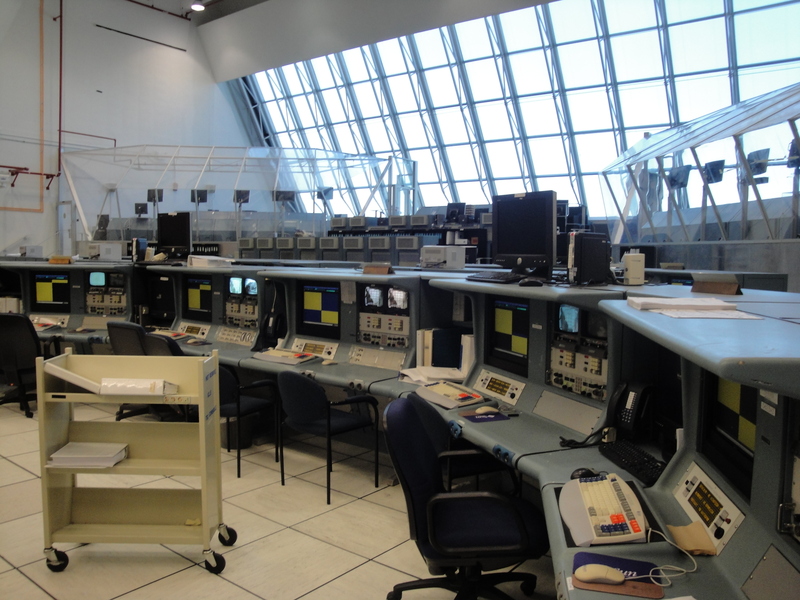 The set of windows on the furthest left on the LCC is Firing Room #4, the most modern firing room where all recent shuttle missions were launched from. The large second set of windows from the left (ignore the small square set of windows which are a small VIP viewing room) is Firing Room #3 where some of the Apollo missions were launched. 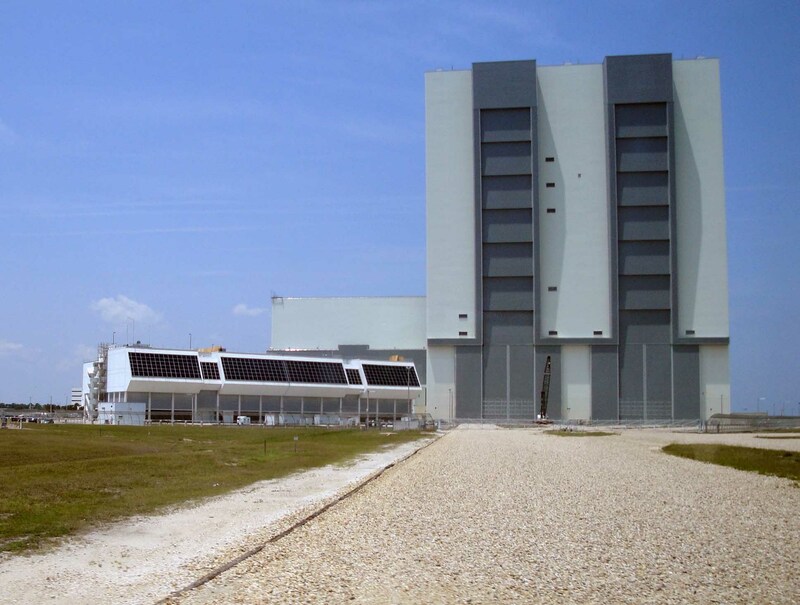 Barely visible behind the LCC is one of the shuttle hangars which are called Orbiter Processing Facilities or OPFs. The picture is taken from the Crawlerway that leads to launch Pads 39A and 39B on the east virtually on the shore of the Atlantic Ocean. This photograph looks to the west. Firing Room #3 is very 1960s and retro, almost Buck Rogers today. But it still is fully operational and should backup be needed during a launch, this room would be ready. 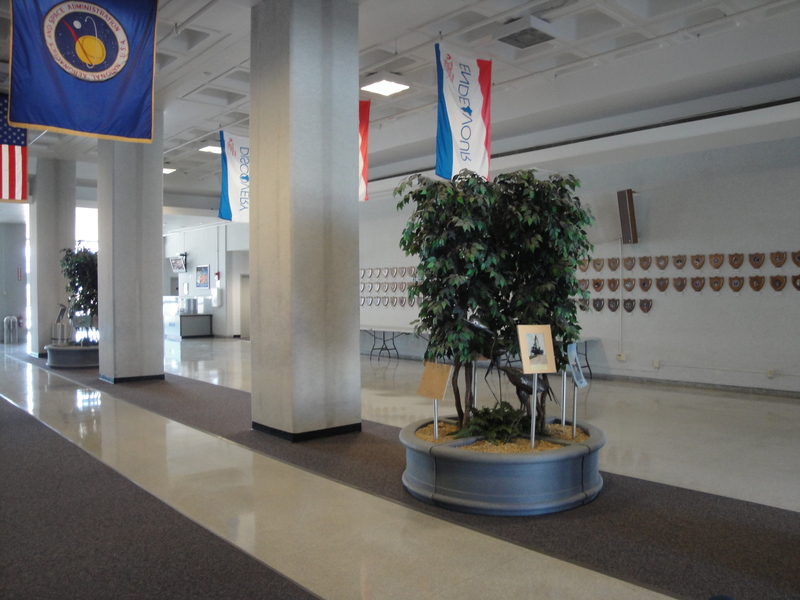 Along the back wall are plaques for every mission launched from this room, including the date of the launch and of the landing. When Firing Room #4 was modernized, this room was no longer the firing room of choice and was not used during the final twenty shuttle launches. During countdowns, the number of people in the Firing Rooms gradually increases until at launch there were about 300 people in the firing room. 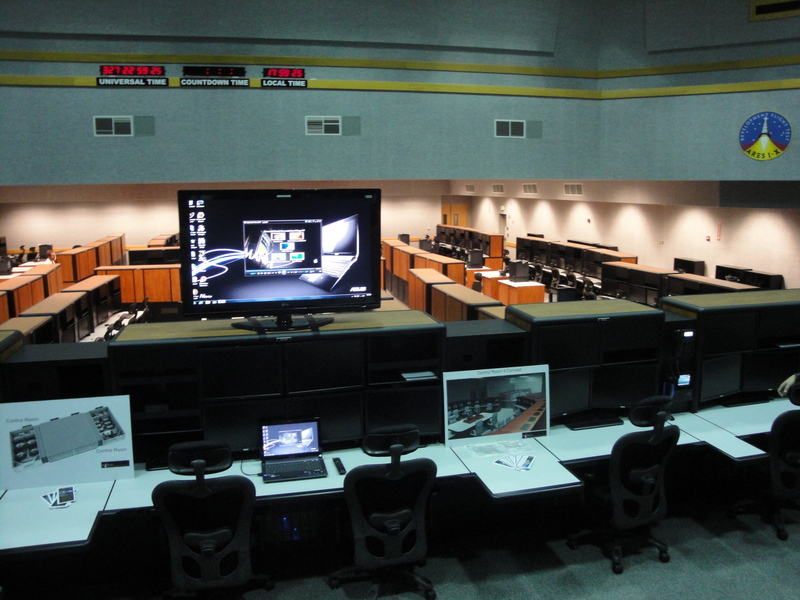 After launch, control of a mission is instantly handed to the Mission Control Center in Houston, Texas, and the number of people working here drops quickly.